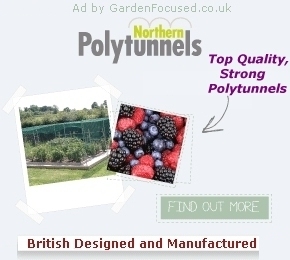 This page allows you search for information about garden centres in Buckinghamshire. Our garden centre reviews are not like other gardening website pages. 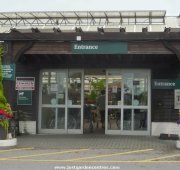 We have actually visited each of the garden centres that appears on this page and spent an hour or so assessing their facilities. For those garden centres with a cafe, we sit down and sample a couple of their meals. Honest reviews to help you. Happy searching! The first thing that strikes you walking up to the entrance of the Alpa Garden Centre is the snack van which is ingeniously hooked up to the side of the front of the garden centre. It sells ice creams .... Click here for the full review. Askett Nurseries and Garden Centre have been owned by the same family for just over 20 years. Originally they grew many of the plants on site but over the years they have developed into a garden .... Click here for the full review. Many garden centres have humble beginnings and Beaconsfield Garden Centre is no different. It originally began life in the 1950s as a small nursery. It first became a fully fledged .... Click here for the full review. The area devoted to plants at Notcutts Booker Garden Centre is, in estate agents language, deceptively spacious. At fist this appears top be medium sized but as you explore the paths it becomes clear .... Click here for the full review. See the separate cafe review here. Buckingham Garden Centre has two outlets, the garden centre itself and a successful online business which specialises in plants, hedging and fruit trees. With the current growth in the number of large .... Click here for the full review. Large is the word to describe this area! It's nicely paved all around with wide paths, no problems for wheelchair users. The general layout of the plants area has clearly been given a lot thought. Lots of island .... Click here for the full review. Review of Flowerland, Iver cafe. Unusually the bedding and tender plants area is inside the garden centre rather than an outside covered area. In season, this area houses a huge selection of bedding plants, hanging baskets and tubs .... Click here for the full review. Aside from a covered area for seasonal plants, most of the plants area is uncovered. This is a large area though and the design is very pleasant. Thought has clearly gone into planning the layout which is far from .... Click here for the full review. 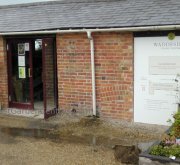 Haddenham Garden Centre is privately owned by the Hawkins family and first opened in 1978 as a plant nursery. 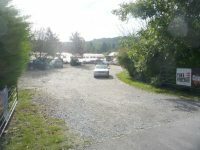 Over the years it has grown to become a medium sized garden centre. The plants area is .... Click here for the full review plus our video. Click here for opening times and here for our review of the cafe. Pinewood Nursery was started in 1982 as a wholesale vegetable nursery and over ten years or so they grew to become a huge supplier of salad vegetables. Over the years interest in British grown vegetables .... Click here for the full review. The plants area (at Plant and Harvest) also has great character, no regimented rows in this garden centre. The path up the centre of the main area is solid but most other areas are on softish gravel - not good for wheelchair access .... Click here for the full review. 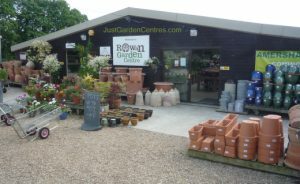 Rowan Garden Centre was refurbished in 2010 shortly followed by the addition of their Seasons Cafe. Another large refurbishment was finished in April 2012 with the addition of a new plant area .... Click here for more information about this garden centre. South Heath Garden Centre have been in business from 1958 and is now run by the second generation of the Spencer family. It's a medium sized garden centre with a good selection of plants. Under cover .... Click here for more information about this garden centre. The plants area is pleasantly walled in a Victorian fashion with solid paving. The choice of plants is very limited although they specialise in slightly unusual plants which are in good condition. Prices are .... Click here for the full review. Review of cafe at World's End Garden Centre. Opening hours. The video of the plants area shows just how boring the design is of the plants area at this garden centre. The majority of the uncovered area is simply lots of rows of plants. No attempt .... Click here for the full review plus our video.